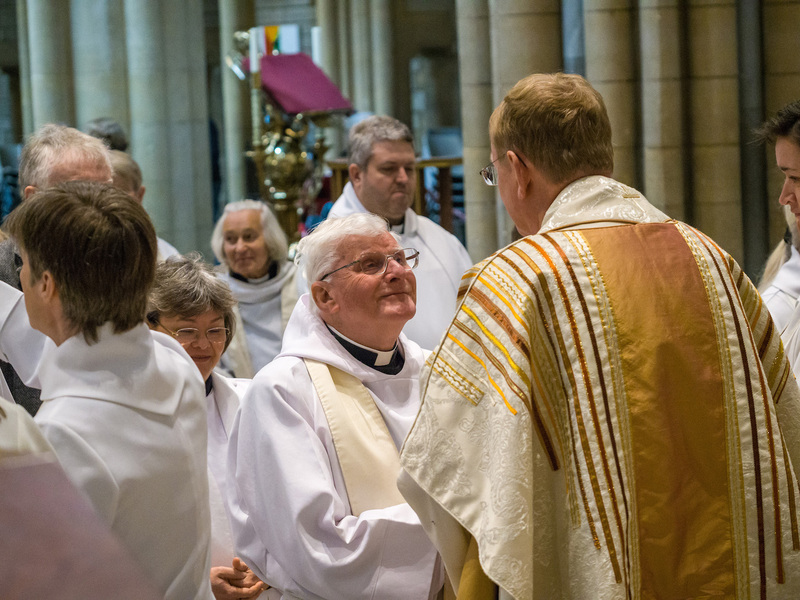 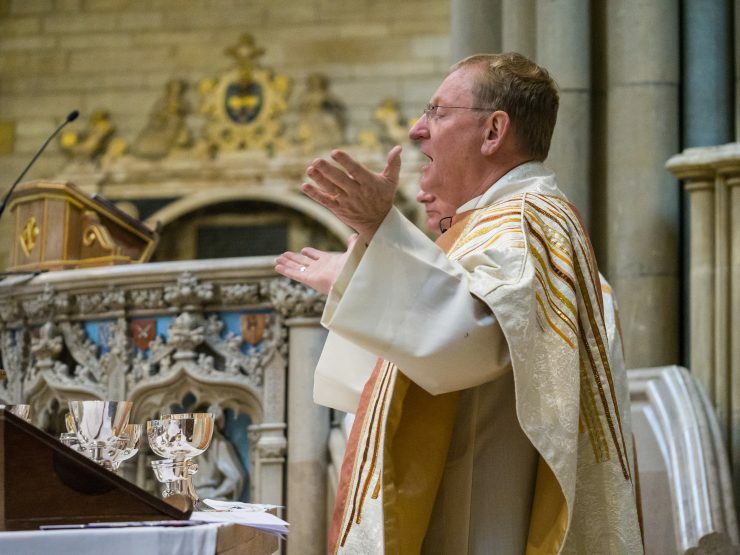 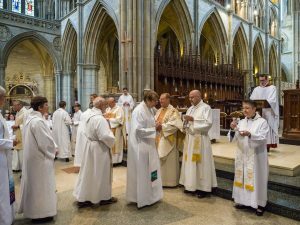 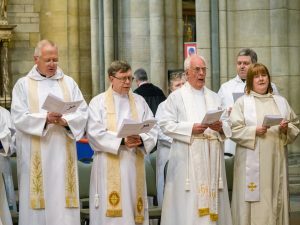 On the morning of Maundy Thursday, the people of Truro might have noticed a rush of clergy carrying white robes walking purposefully through the streets on the way to the Cathedral. 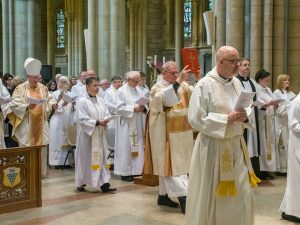 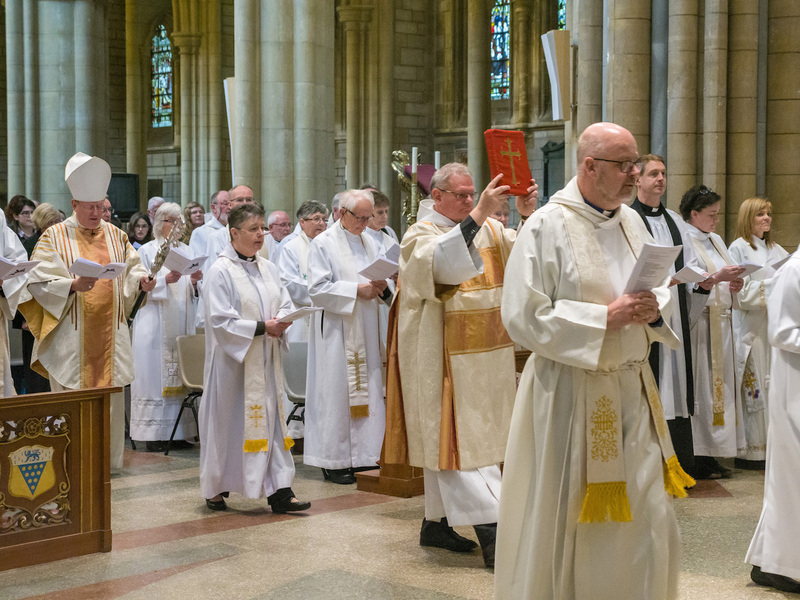 They were heading for the Chrism Eucharist, a service on Maundy Thursday that invites all the clergy across the diocese to renew their ordination vows and witness the blessing of the oils. 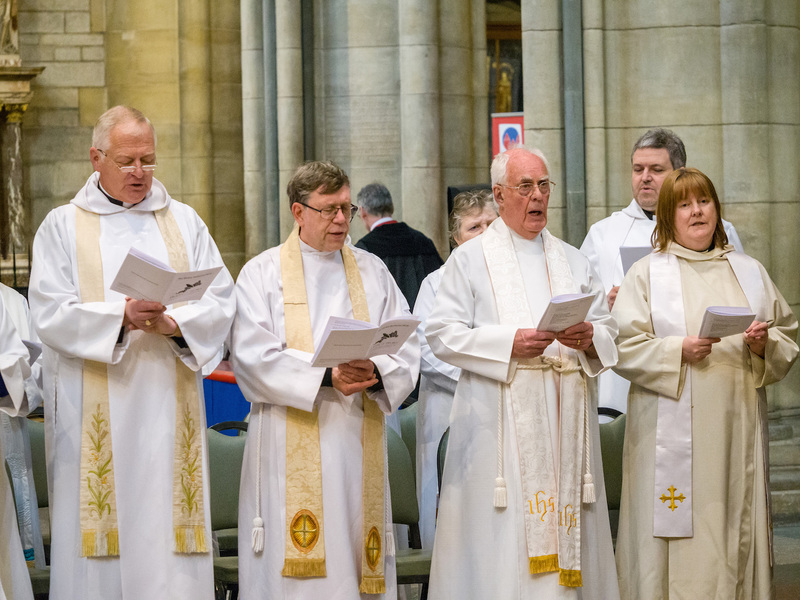 During the service, the Bishop blesses the special oils that are used throughout ministry across the parishes. There is the Oil of the Sick, the Oil of the Catechumens, used for those preparing for and committing to Baptism, and the Oil of Chrism, an oil of anointing of the Holy Spirit. 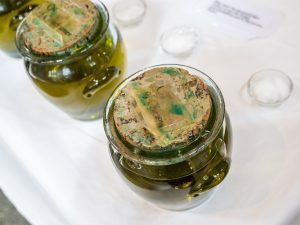 This is a particularly special oil, from which the service takes its name, and everyone is invited to receive an anointing with it as a sign of God’s abundant grace. 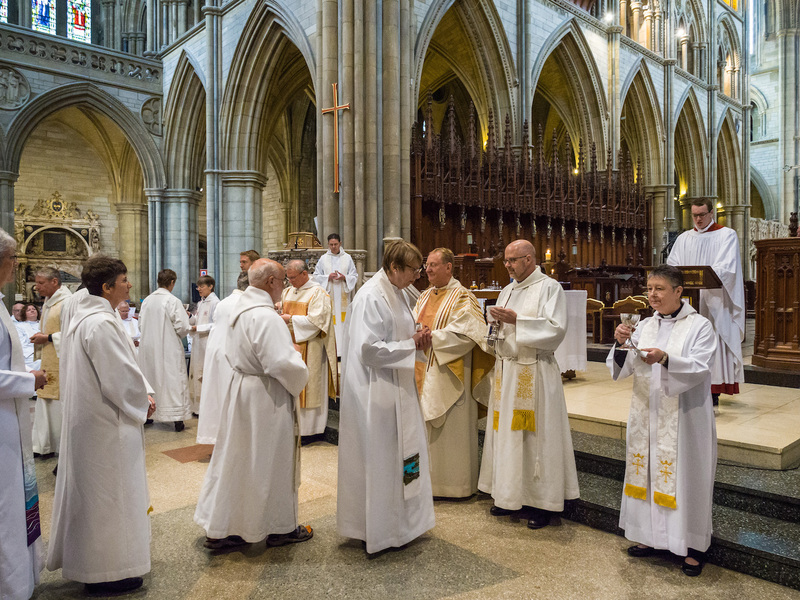 It’s a service that is held dear in many hearts, not just because of the spectacle of seeing so many clergy gathering together to renew their vows, but because it comes just before Easter, echoing the Last Supper and all it meant for Jesus and His disciples. 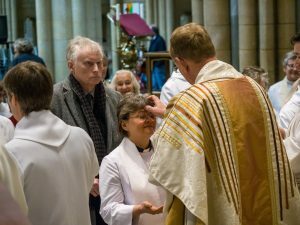 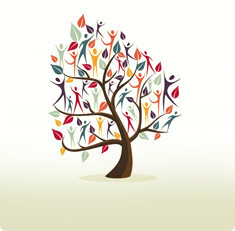 It is a poignant time to focus and align thoughts to the very essence of the Christian faith – that Christ lived, he died and he rose again.